Welcome to our series where analyze resumes that helped people score jobs at the world’s top companies! This time we’re going to examine a resume example that belongs to someone who scored a job as System Administrator at Amazon. We’re going to analyze each section to show you what works and what doesn’t. We hope it will help you see your own resume in a different light, improve it, and finally score the job you’ve always wanted. To photo or not to photo? That’s the question. And also a controversial topic for discussion in the world of HR. Honestly, it can help your jobs search as much as it can harm it. The rule of the thumb is, your appearance shouldn’t be at all relevant in the hiring process. Unless you’re applying for a modeling or acting job, of course. However, you can be sure that recruiters will search for your digital footprint. At the end of the day, they’ll probably see at least a couple of your photos on social media or elsewhere. It also depends on the country. Whereas some countries think the photo invites all kinds of discrimination, in others it comes as part of the standard resume format. If you decide to put your photo on your resume anyway, make sure it’s a professional portrait in high resolution — no selfies, please. Pay attention to your outfit and don’t forget to smile a little. The profile section acts as a teaser for the rest of your resume. It should be compelling, powerful and succinct — almost as if it was your elevator pitch. Sum up your skills and experiences in 3–5 sentences. Use this space to describe your career trajectory, work experience, industry-relevant skills. If you want to make yourself look more accessible and amiable as a person, include something extra, such as your personal motto or belief. Hard skills, especially in IT, are usually short words that need no further explanation. But you can always try to make your skills visually captivating using graphs and charts. Images attract attention. While they might not be the most accurate representation of reality, it’s always refreshing to read something that’s not just plain text. 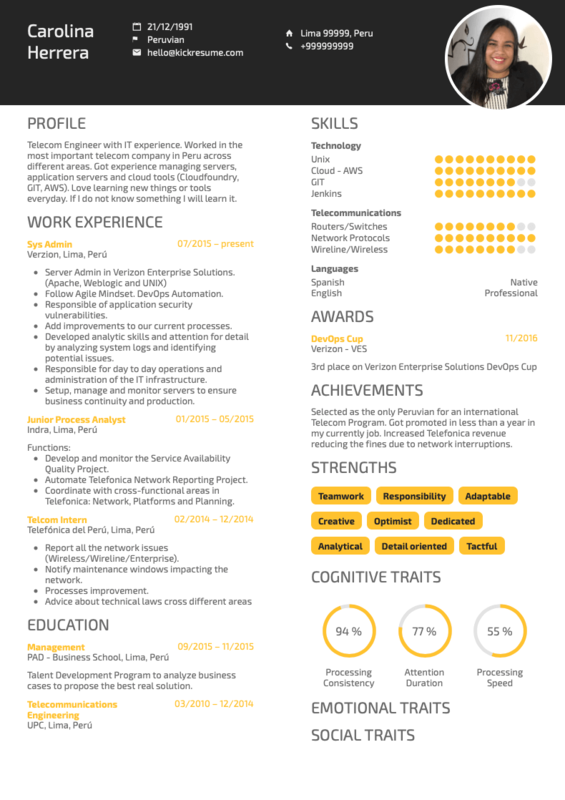 Feel free to use visual elements across your resume. 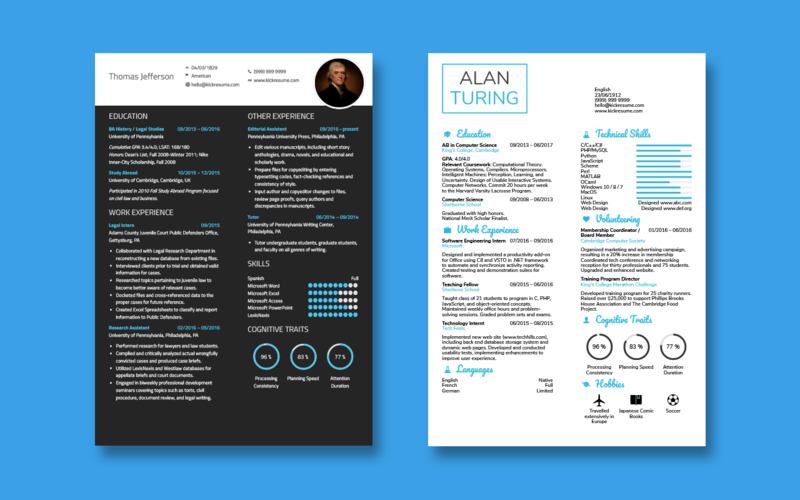 Logos, infographics, spot colors, icons or stats prove especially effective in bringing sterile resume designs to life. Bullet points. The most useful formatting tool to emphasize your past achievements, highlight action verbs and give thrust to every single line. Focus on what’s most relevant and list your employment history in reverse chronological order. This will allow recruiters to see your most recent jobs and also your most relevant skills first. Let’s say you’re a fresh graduate. 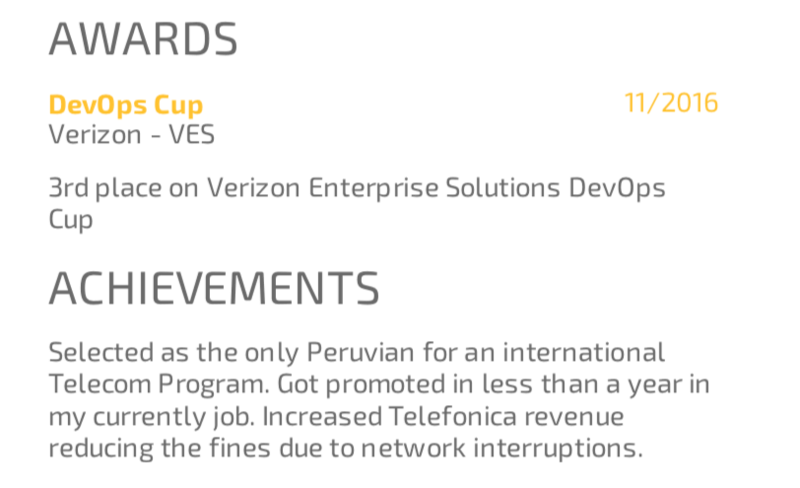 You might have been awarded a prize relevant for your internship. Or, as a seasoned professional, you might have made a breakthrough in your industry or contributed to a recent revenue growth. Think of any notable achievements that deserve recruiters’ attention. Ditch your modesty and come up with at least three moments in your career you’re really proud of. These will no doubt leave a better and more lasting impression than heaps of buzzwords and worn-out phrases lurking around in your resume. 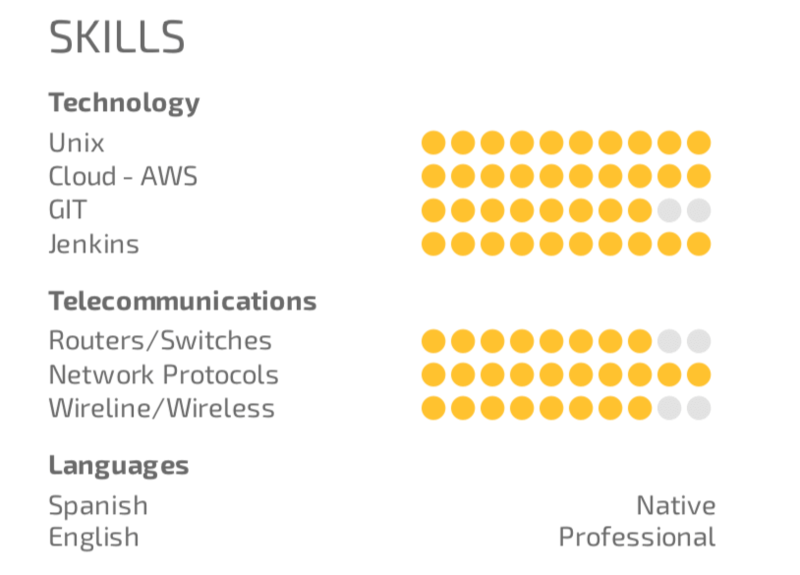 This Amazon resume example reminds us of the power of modern formatting. 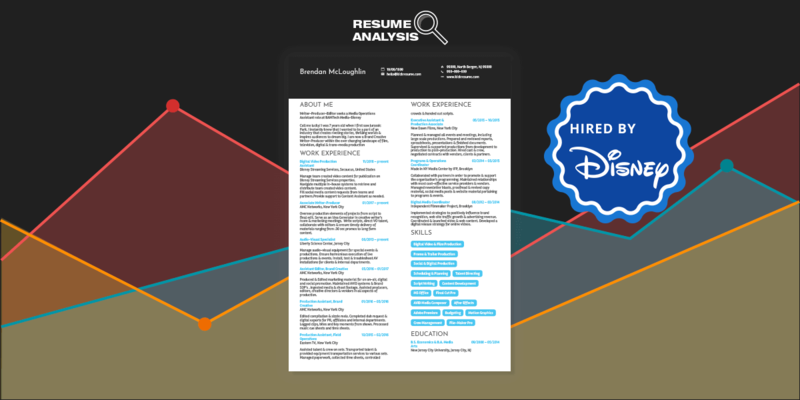 Colors highlight the logical structure of the resume and visualization tools transform it into a user-friendly document that’s pleasant to look at. 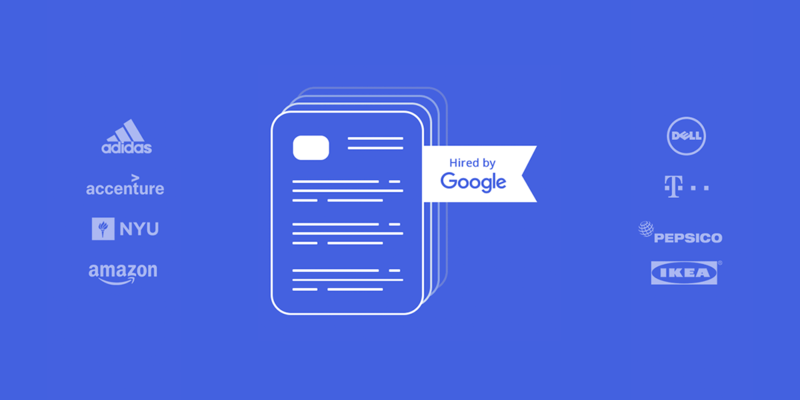 If you want to turn your own resume into a stand-out career document, head over to Kickresume to choose one of dozens of different resume layouts and designs. They’ll take your resume to another level — and perhaps to another galaxy, too!